CenterPoint Securities Review 2019 | Is This Broker Legit Or Not? CenterPoint Securities is a high-speed brokerage that caters towards professional traders. The fact is that you can place basic daily trades anywhere, but when it comes to high-volume trading and order routing, where you choose to do business makes a huge difference. At CenterPoint, you will see that there is plenty of flexibility with the platforms and of course routing that gives you the opportunity to take advantage of market inefficiencies that the average retail trader simply does not have. This gives you an advantage that is necessary if you are in fact trading high-volume. If you are looking to “up your game” when it comes to speed and volume, this might be an excellent place to put your money to work. If you are more of an investor, then obviously the super-fast brokerages such as CenterPoint will probably be a bit overkill. This isn’t necessarily a statement on the brokerage or your trading situation, simply the reality. CenterPoint Securities offers three different trading platforms for your desktop to choose from. There is CenterPoint Trader, there is Sterling Trader Pro, and DAS Trader Pro, all of which are top-notch and professional platforms. However, one of the biggest issues is that none of these platforms are free, unless of course you trade a certain amount of shares per month. That being said, if you are a high volume trader none of this will be an issue. That’s essentially the typical client for CenterPoint, an active and high volume trader. If you are more of an investor, then the cost of the trading platforms will be one of your biggest problems. CenterPoint Trader is a state-of-the-art trading platform that offers real-time level II market data. Also, advanced charting, custom alerts, customizable order entry, customizable hotkeys, and a mobile application to keep your account in trading on the go. While this is an considered to be a “professional platform”​, you will certainly find it to be very robust in most traders will struggle to find a reason to snub this platform. The cost for CenterPoint Trader is $100 a month, unless you trade more than 200,000 shares during that month. At that point it is free. 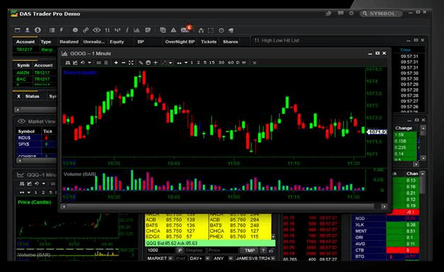 Sterling Trader Pro is a state-of-the-art equity trading platform that gives traders a massive amount of customizable options and is favored by a lot of professional prop desks. 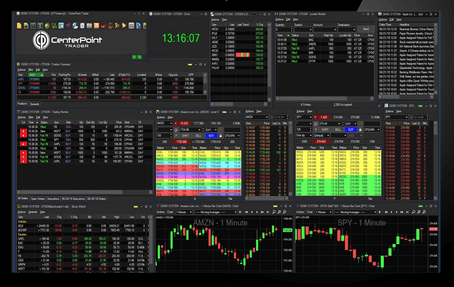 There are hotkeys, real-time level II market data, basket trading, advanced charting, portfolio management, and API abilities that allow you to program algorithmic bots and your own indicators. ​Sterling Trader Pro is $250 a month, unless you trade more than 500,000 shares during the month, which then qualifies you for a rebate of the monthly charges. That being said, this will not be the platform that traders choose unless they are serious about the volume and of course the speed of their positions. Sterling Trader Pro of course is not an in-house platform and is well known around the equity trading circles by day traders and hedge funds alike. It’s trusted by thousands of clients around the world and has a long history of reliability and even more importantly, speed. 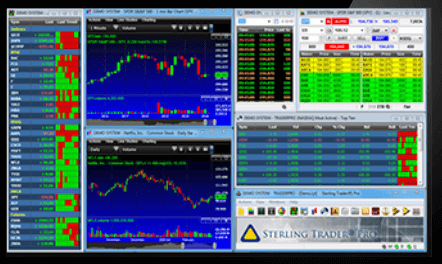 In fact, Sterling Trader Pro is considered to be one of the fastest platforms available. DAS Trader Pro offers market access order routing and is a professional trading trading platform. Collated order executions, multiple stop types, real-time account management and multiple monitor support are offered. The platform also comes with a couple of add-ons, including DAS Web and the DAS App for mobile trading, both of which are robust and complete packages within themselves. For this platform, you can expect to pay $120 a month unless you trade more than 300 shares during that same month. CenterPoint Securities offers US stock markets, including all of the larger stocks to be found at the New York Stock Exchange, BATS, ARCA, NASDAQ, and all of the usual suspects in America. They do not offer options, as this is solely a set up for day trading of US equities. If you’re looking to trade around the world, this will not be the place for you. However, if your desire is to trade very quickly in the United States and with low costs involved, then you will find this to be a very desirable place to put money to work. The entire pricing structure of stock trading at CenterPoint favors those who trade frequently. At CenterPoint, the pricing can vary drastically. In the “standard plan”, which most active traders will be using, if you trade less than 300,000 shares per month, the cost is $0.004 per share plus routing and regulatory fees. The “all in plan”, which is designed for institutional clients charges just $0.0065 per share at under 300,000 shares per month but doesn’t list routing or regulatory charges. The “per ticket plan” charges $5.95 per trade for those trading less than 300,000 shares per month, with the addition of routing and regulatory fees. As stated previously, this is most certainly a brokerage firm that caters to the high volume trader. Quite frankly, the commissions on trading are typical for those who trade low volume, but the cost of the platform is the loan will make it much more difficult. As per usual though, higher volume trader does do pay less. That’s just a simple part of doing business in this realm. CenterPoint of course is going to be no different. There is absolutely no education or resources for learning about trading at CenterPoint, as it is not a place for beginning traders. As far as research is concerned, they do not offer it either, as most traders who are looking to take advantage of these types of situations will either have their own research done or pay for premium research somewhere else. If you are looking for some type of training or research, you can find it online, and quite often for free. As a bit of advice, if you’re looking for someone to “hold your hand”, this is not going to be the place for you. Not only that, the type of accounts that are used today trade are large enough that you can do real damage to your financial situation if you are not careful. A broker like CenterPoint is for those who already know that they can be profitable, and beyond that are looking to make a living trading. This is why they feature not only retail clients that are large, but also many institutional desks. Customer service at CenterPoint is simple and easy to reach, from 7 AM EST to 5 PM EST Monday through Friday, via telephone. They also have email support for both general support and the trading desk. As for platform support, they have the option to connect to various numbers for each trading platform, as well as email. They even have back-office links to the clearinghouses that they offer for their traders. This includes Hilltop Securities, Vision, ETC, and so on. Like most brokerage firms involving stocks, they tend to be very US centric as far as the timing is concerned, so international clients will find themselves needing to work with American hours. That being said, they do seem to have plenty of customer support representatives. The fact that they cater to a lot of institutions suggests that the customer support will be highly knowledgeable and will probably have experience with almost anything you can through at them. CenterPoint Securities is a world-class broker for the high-volume equity trader of American securities. They offer professional platforms, albeit at a cost, and clearing through several different firms. ​CenterPoint Securities do not offer much in the way of retail help, this is for either professionals or those who are looking to become full-time traders. This is where professionals play, not some type of typical retail brokerage that many would be used to. However, offering some of the best platforms on earth and of course a multitude of ways to place orders through routing is something that those who are looking to maximize their returns will be very much well served by. Ultimately, the costs involved with trading at CenterPoint are reasonable, but only for those who can take advantage of the volume discounts and make the cost of the trading platform worth it. 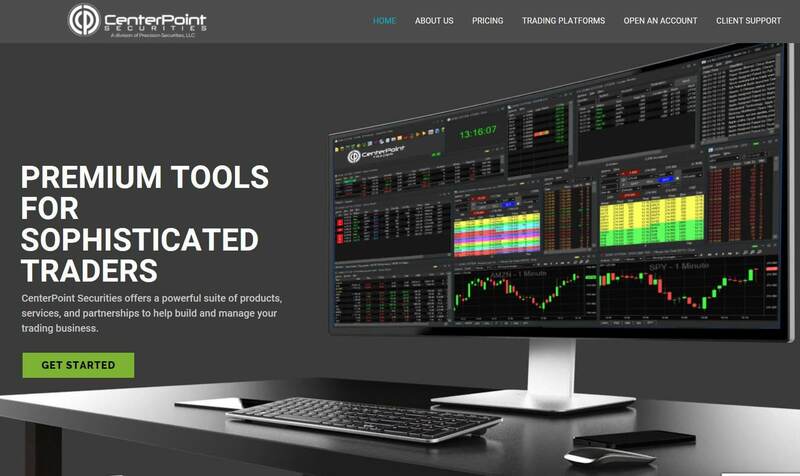 It really comes on your trading style, but if you are a day trader with high-volume, you will find that CenterPoint is an excellent option and a great alternative to Lightspeed Trading​ and a great brokerage to execute trades identified by Trade Ideas​ stock scanner.